People worry about how separation will affect their children. Separation gets a lot of bad press, but the good news is that when parents educate themselves about how to care for their kids in separation, and act on what they learn, their kids are more than OK. In fact, the Australian research says that 85% of children do well after their parents’ separation. Remembering that is partly down to the co-operation and hard work of the parents is helpful. To help make sure your children are in the majority of those who manage separation without any lasting harm, we offer these tips which are mostly based on the work of Joan Kelly. Both parents should speak to the children together. Rehearse what you and your partner will say. Tell them that your separation is not their fault. Don’t blame each other for the separation. 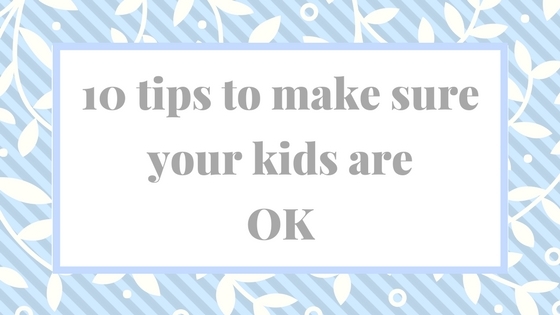 Reassure them that both their parents love them. Let them know that they will continue to see both parents. Focus on the things that will stay the same. Let them know that you will listen to what they have to say but that you will make the decisions. Don’t speak about your separation to friends and family where you children can hear your conversations. Don’t have arguments with your partner in earshot of the children. Don’t secretly let your children know the ‘real reason’ for the separation and blame the other parent. You will lose their respect and take away their innocence. Don’t leave documents to do with your separation where the children can find them. Keep your anxiety about money and uncertainty away from the children. Children hate to be exposed to their parent’s conflict. Get help from professionals to work out living arrangements. Be prepared to have honest and mature conversations with your ex to look after your children’s best interests. Arrange to discuss hot topics with your partner somewhere away from the home. Don’t use your children as messengers or spies. Drop off time is not the time to have arguments with your ex. Actively support your spouse as a parent. Don’t make negative comments about your spouse in front of the children. Don’t allow your extended family and friends to criticise the other parent. Learn to accept that parents have different parenting styles. If you have difficulties managing parenting differences, seek help from a child specialist or parent educator. Be flexible about the parenting plan – put your children first. Keep discussions and comments about child support away from the kids. Kids are just kids. They don’t want to decide. They just want Mum and Dad to stop fighting and work it out. When you’re hurting it can be easy to think that the children feel the same way – they probably don’t. Don’t involve your children in your emotional response to the separation (this is hard to do but is healthy for your children). Seek counselling help to work through your emotion and anger. Competent parenting is essential to your children’s positive adjustment to separation. You can be forgiven for momentarily “losing it” in anger or grief, but not for long. Going through a separation is not a holiday from parenting – you still need to provide appropriate discipline, monitor your children and maintain your expectations about school and the usual rules at home. If feelings of depression, anxiety, or anger continue to overwhelm you, seek help. Even a few sessions of therapy can be enormously useful. Remember, your own mental health has an impact on your children. Make sure your children stay connected to your ex’s family and important friends. If possible, use the same babysitters or child-care. This keeps some things constant in the children’s world. Ask yourself: must your children meet everyone you date? Take time, a lot of time, before you remarry or cohabit again. Young children in particular form attachments to your potential partners and, if new relationships break up, loss after loss may lead to depression and lack of trust for children. Don’t expect your older kids to instantly love someone you’ve chosen – this person will have to earn their respect and affection. Remember that child support is for your children – it is not a payment to your ex. Even if you’re angry, contribute properly to your kids’ expenses. Even if the children are not spending as much time with you as you would like, keep supporting them financially. Children whose parents separate or divorce face much more economic instability than children whose parents remain together, even when child support is paid. Don’t make the situation worse. In every way, let your message to your kids be that you care so much about them that you will keep them safe and away from any conflict. They will appreciate it as they get older. Your children’s future wellbeing and happiness depends on you. A better separation has better outcomes for your children – better mental health, better educational success, better future relationships.